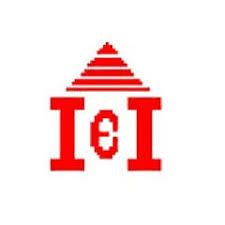 IIE, Guwahati Recruitment 2018- Project Manager,Project Associate and Project Assistant | GuwahatiCareer.Com :: Recruitments, Career Openings & Vacancies. Indian Institute of Entrepreneurship (IIE), Guwahati an autonomous organization under Ministry of Skill Development and Entrepreneurship (MSDE), Govt. Of India invites applications for the following post on contractual basis for its Social Institution Building Cell (SIBC) at IIE. Educational Qualification: The Project Manager should hold a Master Degree in Social Science or any relevant subject. Language: High level of fluency in English and Hindi apart from the Local Language. c. Good social, analytical and planning skills; the candidate must show initiative, synthesis, organization and personal dynamism, be self-motivated and ability to work independently as well as in teams. e. Minimum of 10 years of experience in Training Capacity Building, field work relating to Community, Preparing Training Module, Executing PRA Tools and Research related work. f. Good in report writing and presentation. Age Limit: Not more than 50 years as on March 2018. Educational Qualification: The Project Associate should hold a Master Degree in Social Science or any relevant subject. Age limit: Not more than 40 years as on March 2018. Educational Qualification: The Project Assistant should hold a Degree in Social Science or any relevant subject. c. The candidate must show initiative, synthesis, organization and personal dynamism, be self-motivated and ability to work independently as well as in teams. e. Minimum of 3 years of experience in Training Capacity Building, field work relating to Community, Preparing Training Module, Executing PRA Tools and Research related work. f. Good in report writing and Documentation is must. Age Limit: Not more than 30 years as on March 2018. Place of Interview: Interview will be held at Indian Institute of Entrepreneurship, Lalmati, Guwahati, 29. Only short listed candidates will be called for the interview. Date of Interview will be informed later through mail or phone call. Candidate may appear in the interview along with the original testimonials and two passport size photographs. ***Candidate must send their Application clearly mentioned about the post applied for along with the Bio-Data through email ([email protected]) or they may submit the same in the IIE office on or before 10-08-2018.